18 Stafford Terrace is a late Victorian townhouse, the former home of cartoonist Edward Linley Sambourne. The interior is remarkably intact, and visitors can trace the history of the house and its inhabitants. Edward Linley Sambourne (1844-1910) was an illustrator and cartoonist for Punch magazine for over 4 decades. He was apprenticed to a marine engineer in Greenwich but found himself fascinated by drawing. A friend's father showed his work to the editor of Punch, who encouraged the young Sambourne to continue his studies. In 1867 his first illustration appeared in Punch and for several years he supplied illustrated capital letters to begin magazine articles. He became a full-time illustrator at Punch in 1871 and the chief cartoonist in 1901. He also created illustrations for books, advertisements, and even an illustration for the official invitation to the Lord Mayor's Banquet in 1888. His work was recognised by the Royal Academy in numerous exhibitions. 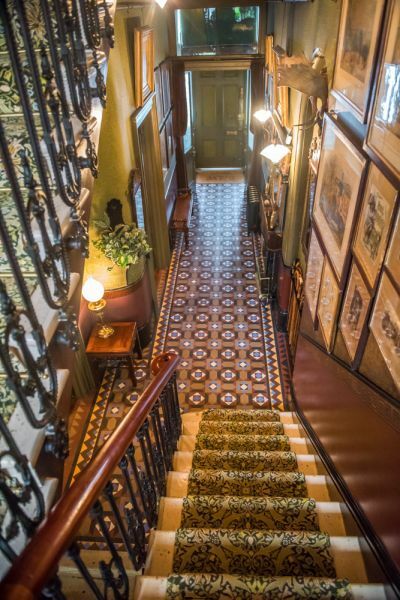 Linley Sambourne used his house on Stafford Terrace to express this philosophy, with stained glass windows decorated with sunflowers, to imported Chinese porcelain and William Morris wallpaper, particularly the Pomegranate design. The family installed a 'water garden' in the form of an aquarium and fountain, crammed with colourful rocks and shells, and draped with ferns and ivy. One of the highlights is the Drawing Room, which occupies the entire first floor. 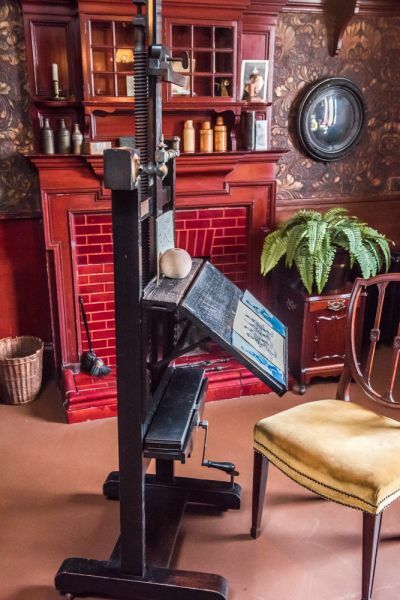 at one end of the room is an easel and camera showing where Sambourne worked before he created a studio on the top floor. 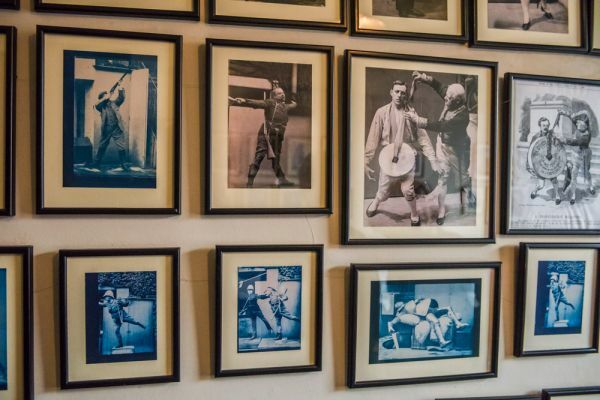 This room was first used as a night nursery but then furnished as a studio in 1899. 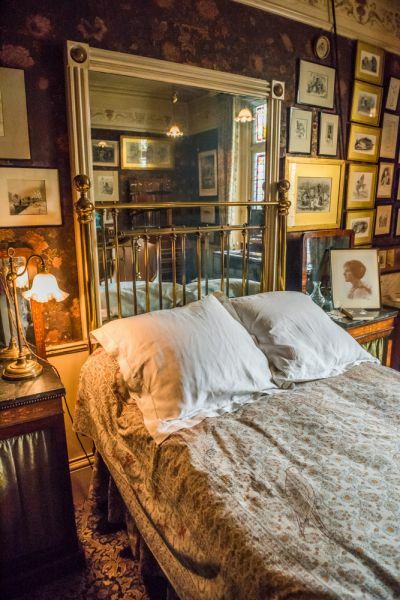 After Sambourne's death, it was converted into a guest bedroom. Edward Linley Sambourne died in 1910, and his son Roy kept the house as it had been during his parent's lifetimes. In 1957 his granddaughter Anne, Countess of Rosse, founded the Victorian Society, in part to keep the house intact. The very first meeting of the Victorian Society was held here in 1958. The house was later sold to the Greater London Council and then leased back to the Society, which opened it to the public as a museum. It is now owned solely by the Royal Borough of Kensington and Chelsea. 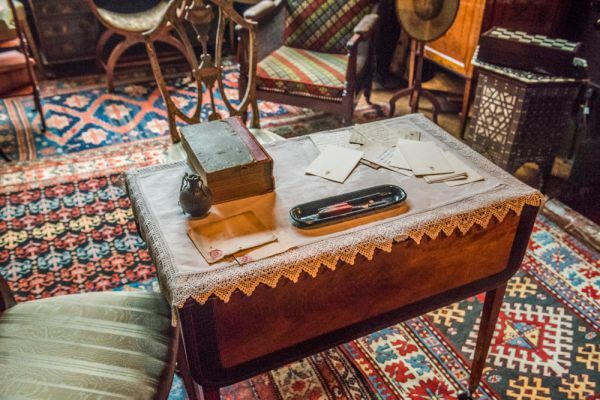 In addition to the fascinating house at Stafford Terrace, there is an archive of personal documents relating to the Sambourne family and the house. The documents date back to 1815 and include an array of letters, diaries, photos, and memorabilia which give a fascinating glimpse into the life of this middle-class family in the late Victorian and Edwardian periods. The house interior may be familiar to film buffs; it served as a setting for the popular 1985 film, A Room with a View. We combined a visit to Stafford Terrace with an excursion to nearby Leighton House Museum, both under the care of the Royal Borough of Kensington and Chelsea. The house is located in the middle of Stafford Terrace, in the midst of similar 19th-century terraced houses, and is indistinguishable from its neighbours save for a colourful first-floor window. There was no sign outside the entrance when we arrived; in fact we walked back and forth several times, wondering if we had come to the right place, before we realised that the entrance was down a set of servant's stairs in the half-basement, where the former scullery now serves as a shop and visitor entrance. 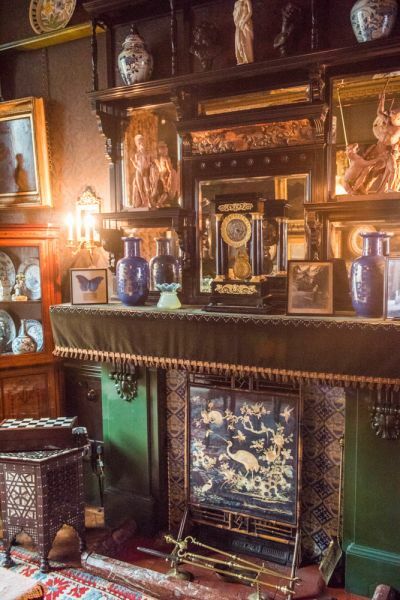 There is a very useful introductory film, which I highly recommend watching as it gives you a sense of the Linley Sambourne family, Edward's career as an illustrator, and how the house was used. After the film, we ascended the scullery stairs to the first floor, where the magic truly begins. 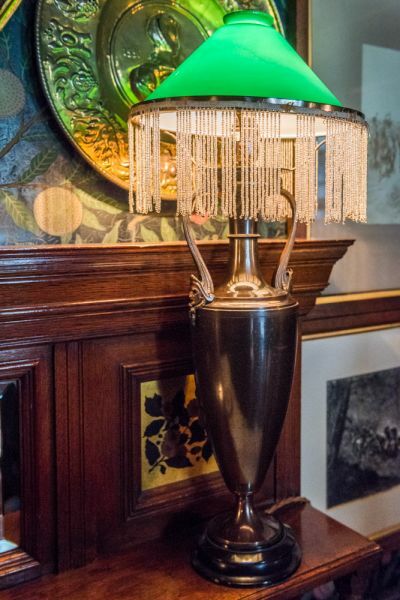 When Edward Linley Sambourne lived here, from the furniture to family mementoes. The interior rooms have that wonderful Victorian clutter, with seemingly every spare inch filled with art or personal objects. There are numerous guides on hand, as well as information placards in each room, and a wonderful 'servant' in period costume who told us all about the family and how they lived. One unexpected delight was a collection of early photos made by Linley Sambourne, who created a large series of posed images that he could use as models for his illustrations whenever the events of the day warranted a caricature of a public person in a specific pose. Linley Sambourne was clever enough to realise that he could create a library of images of figures - including himself - in poses that he could quickly copy when the pose was appropriate for whatever illustration he needed to create for Punch. I cannot recommend 18 Stafford Terrace highly enough. In my opinion, it is one of London's hidden gems; a delightful peek into the past and well worth a special effort to see. 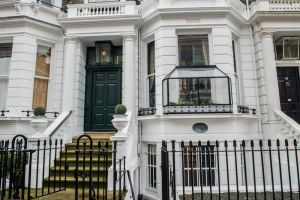 When I asked my family what they had enjoyed visiting most after a busy day in South Kensington that included the Natural History Museum, the V&A, and the Brompton Oratory, they were unanimous that 18 Stafford Terrace was the highlight of the day.